Bladder infections occur commonly and are usually treated with antibiotics. Researchers have now deciphered how the bacteria change their shape in order to nestle deep within the bladder wall. This knowledge opens up new avenues for the treatment and prevention of cystitis. Every year several million people fall ill with cystitis – mainly children and sexually active women. The symptoms are very unpleasant for those affected: they include pain and burning during release of urine, frequent urination (in which only small amounts of urine are submitted), bladder spasms and sometimes blood in the urine. The most common triggers are bacteria from the intestinal flora – in 70 to 95 percent of cases Escherichia coli-bacteria. However, other species of bacteria, yeasts, Chlamydia or viruses can cause a bladder infection as well. The infection is in most cases treated with antibiotics – in an uncomplicated inflammation one to five days of treatment is usually enough. Once it has occurred, the bladder inflammation occurs in many of those affected again and again. 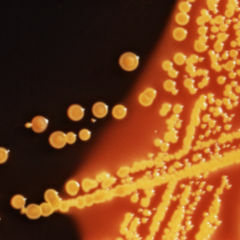 This is partly because the bacteria have the ability to survive antibiotic treatment and to initiate new infections. Despite its frequency, the correlations involved in bladder infection are so far scientifically not well understood. A Danish research team has however now discovered how the bacteria involved lead to persistent inflammation. This could be the basis for developing better treatment approaches and new methods in the prevention of (recurrent) cystitis. For their study, the researchers led by Jacob Møller-Jensen of the Institute of Biochemistry and Molecular Biology at the University of Southern Denmark developed an artificial bladder model. This consists of a small chamber which is lined with bladder cells and is filled with human urine. The researchers introduced Escherichia coli bacteria into this chamber and were thus able to observe and analyse the behaviour of the bacteria at every stage of the inflammation. The results have now been published by the researcher’s team in the specialist journal mBio. 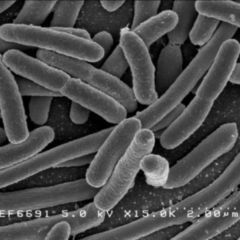 It was previously known that Escherichia coli bacteria can penetrate the cells of the bladder, where they attach themselves and grow. In response, the bladder sheds its outer layer of cells, so that many of the bacteria are excreted in the urine – the cause of the characteristic turbid urine of a bladder infection. However, some of the bacteria are “smart” enough to avoid the cell rejection: studies done on mice and humans have shown that the bacteria change their shape during bladder infection and become extremely long and thin – a process that is also referred to as filament formation. This process is crucial in ensuring that the inflammation arises – because this way the bacteria can better adhere to the bladder wall, spread and infect more and more bladder cells. Finally, they penetrate in this manner the deepest layers of the bladder wall, where they cease to divide. At this stage neither the body’s immune system nor antibiotics are able to reach the bacteria. Until now it was unknown how Escherichia coli bacteria manage to change their shape during the course of infection. Now, the research team, by using the artificial bladder model, was able to closely monitor the course of inflammation via microscope. “In addition we also collected bacteria at various stages of the inflammatory process and analysed the gene expression during the transformation of bacteria”, says Møller-Jensen. “In this way we were able to find out which mechanisms cause the bacteria to become thread-like”. Previous studies already had the aim of identifying the genes that are involved in the filament formation of bacteria. “Our study, however, is the first that has systematically examined the gene expression of E. coli at every stage of the disease process”, says Møller-Jensen. In their analyses, the researchers discovered that the cell division gene damX is associated with the filament formation of bacteria. In the next step they turned this gene off in an experiment with mice and tested whether the bacteria can still lead to a bladder infection. “We have observed that the bacteria were no longer capable of filament forming. They were no longer able to colonise the bladder for long periods and to trigger a persistent inflammation. In addition, their ability to penetrate into the deeper layers of the bladder was significantly reduced”, Thomas Emil Anderson from the Odense University Hospital, one of the senior authors of the study, reports. “In other words, if we eliminate this genetic mechanism, we undermine the harmful abilities of the bacterium”. 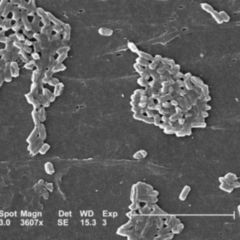 This is the first time that such a detailed insight into the process of change of the bacteria had successfully been carried out, the authors write. The artificial bladder model is a major advantage in simulating an infection of the cell layers of the bladder wall and carrying out investigations which are difficult to implement in an animal model. “The results open up new possibilities for controlling the activity of Escherichia coli bacteria”, says Møller-Jensen. “If one prevents them from taking on a filamentous state by turning off the damX gene, the first stage of the disease could already be prevented”. In this way, recurrent and problematic urinary tract infections could be prevented. In addition, Escherichia coli is not the only bacterium that uses the filament as a survival strategy. 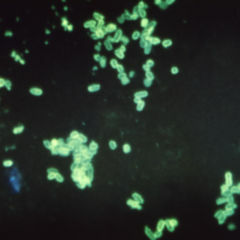 This is used for example by Salmonella and bacteria of the genus Klebsiella that are now resistant to many antibiotics. “It will be interesting to see whether these bacteria can be brought under control in the same kind of way”, says Andersen. In the next step, the researchers want to investigate how damX has effects on cell division at the molecular level.